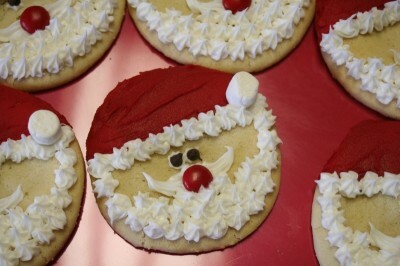 One of my favorite creations from last year were these Santa cookies that I made for Taylor’s school party. 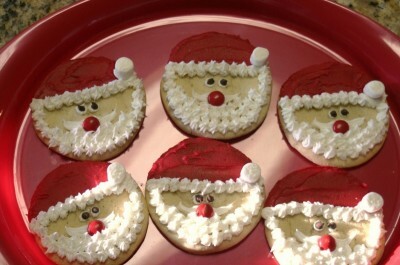 They are sugar cookies with red/white frosting. Marshmallow for the hat, mini chocolate chips for the eyes and an M&M for the nose.